Baby showers are memories in the making. 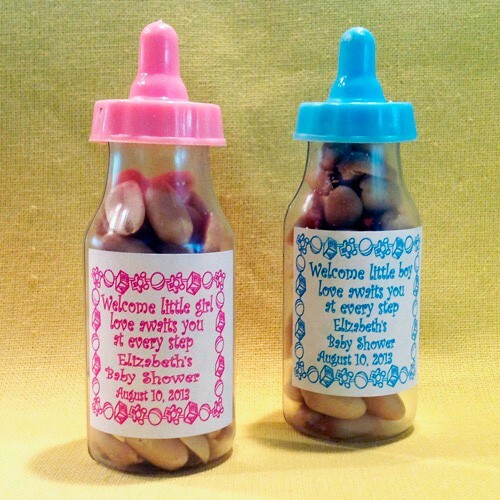 To make sure your baby shower is memorable from beginning to end, start the festivities with Pink / Blue Baby Bottle Favors, filled with goodies that will add a sweet touch for your party. For fillers, whimsical Pacifier Candy* is sure to keep your guests "pacified.” Plastic bottles measure 4-1/2" tall; (*candy sold separately).